That’s the title of my episode broadcast this week 14th March 2019 on Cbeebies and, well what can I say? It is. The Best. I was first involved with Tee and Mo way back when it was just a few games. The lovely people at Plug In Media asked me to help them develop it for TV. Writing pilot scripts and an interactive story for the CBeebies Storytime App along the way, I feel like a great aunt who has watched her little charge grow up. Glad to see the show is a success and also glad that my episode this Thursday is… The Best. Why doesn’t her twin sister get it? And what’s the top tennis tip? Is there a top tennis tip? You’ll have to listen to find out. Carefully or you’ll miss it. You missed it didn’t you. Never mind. The story isn’t aimed at you reading this – I suspect you are much older than six. All of these allergy podcasts are written to help younger children. Alongside the stories, children talk about their own allergies and Dr Ranj Singh gives helpful advice. I hope that your little ones find them useful and of course enjoyable. 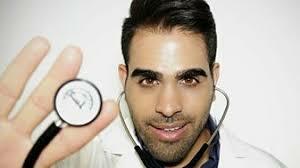 MY #CBEEBIES #PETALLERGY STORY: IT’S GOT #DRRANJ AND #GUINEAPIGS! Children and parents and, well anyone else, can listen to my story and find out what happens when a boy brings the school guinea pigs home in Bohdan’s Beastly Allergy . OK so the title has given away a bit about what happens but, look it’s got guinea pigs! And pigeons. And a little boy who desperately loves animals and cuddles. And did I mention guinea pigs? This was possibly my favourite story in this series because the research involved guinea pigs and learning a new technical term: ‘pet dander’. Jayne’s top tip: if dander ain’t dandy, then keep tissues handy… Dr Ranj has proper top tips for sufferers of pet allergies at the end of the podcast. But they don’t rhyme. This story draws on some of my experiences teaching kayaking to school children. There always seemed to be at least one child with an inhaler in the class and if they were not reticent about trying something that might make them out of breath and/or falling in the river, their teachers often were. In this story, I wanted to show that, as long as the right precautions are taken, there is no reason why a child with asthma can’t do fun stuff or go on to make their dreams come true. I was greatly inspired by stories of Olympic athletes like Rebecca Adlington OBE and hope that children listening to this story will be too and will go on to do amazing things. It’s not much fun not being able to share the same food as your friends and it’s not much fun having to spend your birthday in the hospital allergy clinic. But when the usual allergy tests suggest his body can now cope with eggs, Jamil has to decide whether to stay safe and only eat the food he already trusts or, with the help of his specialist nurse, expand his diet. Knowing how poorly eggs have made him in the past, it is a scary notion and Jamil has to be very brave. But maybe, just maybe, this year he won’t have to blow out the candles on a pretend birthday cake made of cardboard but will be able to have his first ever ‘proper’ birthday cake, and share it with all his friends! Having known children with very restrictive diets, I have been in awe of their patience and resilience. From a distance, it can be easy to condemn them as ‘picky’ and to think they’re just being difficult. But often these children are incredibly brave, having to guard themselves against things the rest of us take for granted. 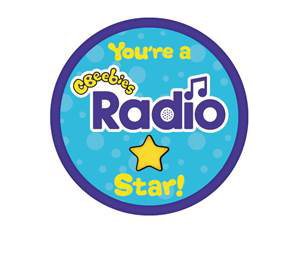 My thanks to #CBeebiesRadio for helping with the child testimonies and medical research. In the spirit of good public service broadcasting, I was happy to undertake the necessary research into birthday cakes and bouncy castles. NEW #CBEEBIESRADIO SERIES ABOUT #ALLERGIES : IT’S EYEWATERINGLY GOOD! Starting from 10th Jan with a new show every Wednesday until 7th February , this cracking series about allergies is not to be sniffed at. I’ll stop right there with the puns because allergies are only funny until you have one yourself. Then it can be tiresome, disruptive, frightening, especially when you’re not yet even six. To be the odd one out, with special food, special gloves, special medicine, when you’re feeling poorly, doesn’t feel very special at all. This series of five audio downloads explores different chronic conditions that some children may suffer: asthma, allergies to pet dander, nuts, dairy, pollen… what’s it like to suddenly react badly to something? What’s it like when it happens to your friend? What’s it like to have to guard what you eat or drink or touch? What’s it like to not be able to eat your own birthday cake? When you put it like that, it’s all a bit grim. So I didn’t put it like that. After all, these stories are for CBeebies and CBeebies is never grim. So expect fun stories with nutty detectives, cub scouts, tennis aces, guinea pigs and pigeons, all read beautifully by the wonderfully reassuring Dr Ranj. Of course the stories answer all of those questions above: I based them on patient testimony and the expertise of a specialist nurse. You can hear some of the children talking about their conditions in each episode as well. My lovely producers were pleased with the result. I hope that you and your little ones will be too. 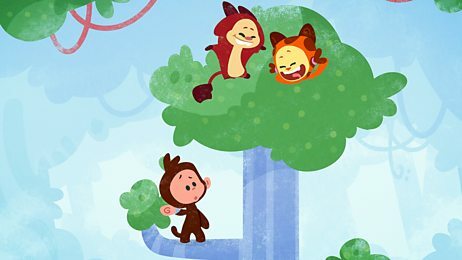 MY EPISODE OF LITTLE ROY IS ON I-PLAYER AND IT’S GRAND! Oh this was fun to write! Have you seen Roy on CBBC? The cartoon boy in a real world. Well this is the prequel – Roy is five years old instead of ten. So it’s less about fitting in and more about finding out. He is a great character and the show is a lovely crossover from preschool to big kid content and I was very pleased to be involved. IN THE SAME ROOM AS GRAYSON PERRY AND CLARE BALDING! And having too good a time to tweet about it. This was on Wednesday, at the Broadcast Awards at Grosvenor House. I hope they had as good a time as me, although as nominees (or rather part of shows that had been nominated), they might not have been as relaxed as me, a judge, could be. I had done my bit watching and reviewing the programmes submitted for the Children’s 6-12 and 0-6 categories, then discussing with my fellow judges before voting. All I had to do now was enjoy the champagne and glitz. There was quite a lot of glitz: dinner included some Sweet Pea Emulsion which I have only seen before on a Dulux colour chart, the bits of stem broccoli that usually fall through my colander, turnips the size of snowdrop bulbs and for pudding we had a dessert. That involved yuzo: Alison Moyet, what a great voice. Jonathan Ross presided over the award ceremony which, despite him, seemed endless – about lots of programmes that I haven’t watched or did watch but have forgotten. But there was plenty of wine on the table and ooh, a bit of slate with some rather lovely petits fours that I was probably meant to pass round the table. The older kids’ award went to My Life: The Boy on the Bicycle, a CBBC documentary (directed by Stefania Buonajuti) following a lad round one of the largest refugee camps in the world. If you are one of those people that talks about ‘these people’ then you need to see this. The preschool award went to Topsy and Tim. An outstanding episode in an already excellent series. Written by Dave Ingham, the episode is about a pet dog dying. It is handled with such care, wit and honesty that it made me cry. I was genuinely moved by the story. I also cried because I still haven’t worked with producers Darrall Macqueen. I didn’t stay until ‘Carriages at Three’ but left sensibly early, determined to get a good night’s sleep so that, with a new day, inspired by these great shows, I could work harder and write better. And find out when yuzu left the music industry and moved into citrus fruit based desserts. No tweets found from ""